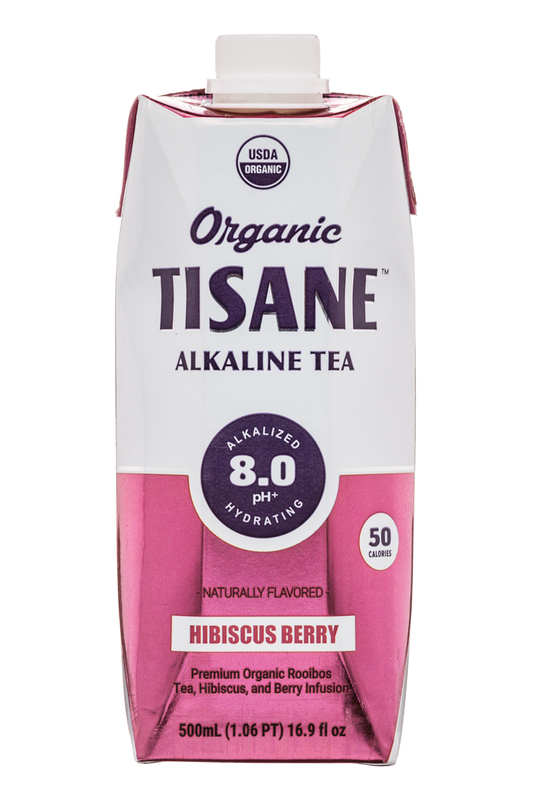 Available in two flavors, Hibiscus Berry and Vanilla Chai, Organic Tisane Alkaline Tea is a low calorie herbal tea that was designed with hydration in mind. Brewed using alkaline water (with 8.0 pH+), the products have rooibos tea at their base. 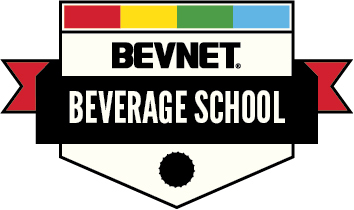 From there, the products are sweetened with a blend of erythritol and sugar (10g), which results in a modest 50 calories per 16.9 oz. carton, as well as added hibiscus and apple concentrates. Finally, flavorings are added to create each of the two blends. Speaking purely from a taste perspective, there’s definitely work to do. In both varieties we found the flavorings to be a bit too aggressive, to the point where they mask the tea flavor too much and undermine the promise of hydration. Of the two, the Vanilla Chai seems like it’s at least in the right ballpark, although we’d like to see the vanilla flavoring dialed down. As for the Hibiscus Berry, it really just tastes like berry flavoring. Again, we’d like to see flavors that are lighter and more gulpable. As for the branding, we have a couple of observations. First, and most important, is the actual brand name, which is not clear at all. Is the brand called Tisane? 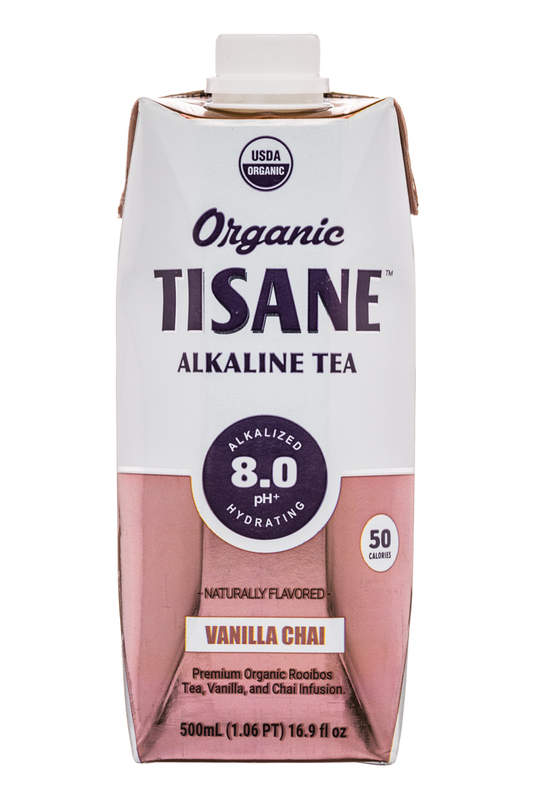 Organic Tisane? Alkaline Tea? All of the above? In its current form, it feels like a store brand or something that’s missing its logo. And once they address that, there’s another task: tying the messaging of hydration together with that of an herbal tea. Right now this feels disjointed -- both the hydration and the tea messaging are competing for your attention. Lastly, there’s the packaging. Going with a 16.9 oz. screw top Tetra Pak carton is somewhat atypical for both tea and alkaline water products, which might impact the consumer’s perception of the product. Regardless, we find the opening a bit too small to drink from (at least for a hydration product). 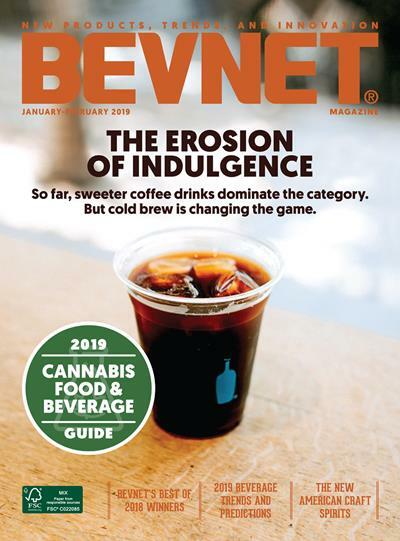 Overall, the concept of a hydrating herbal tea doesn’t seem like a bad one, but it’s one that will take education and development. 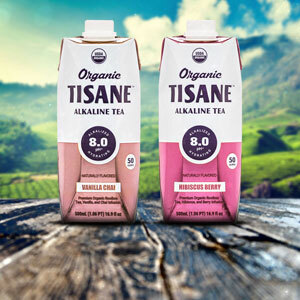 In the case of Tisane Alkaline Tea, we think they need to go back to the drawing board to refine the concept, both in flavor and brand.